Woohoo I (Nikki) am well underway in the FINAL unit of my Psychology honours which involves writing the results and discussion section of my thesis. Can you believe I only have 5 weeks to go? I sure as hell can’t 😛 Remember when I was just CONSIDERING doing it and having nightmares already? Now whilst there is a light at the end of the tunnel, there is still the hard slog of the next 5 weeks to get through. What helps keep me going is the knowledge that our Here and Now meditation retreat is at the end of it and I get to step out of the race and into nature – for three whole days. Our retreats really are our favourite time of the year and everyone who attends always feel so rested, refreshed, and utterly reinvigorated afterwards. And it’s not a coincidence! 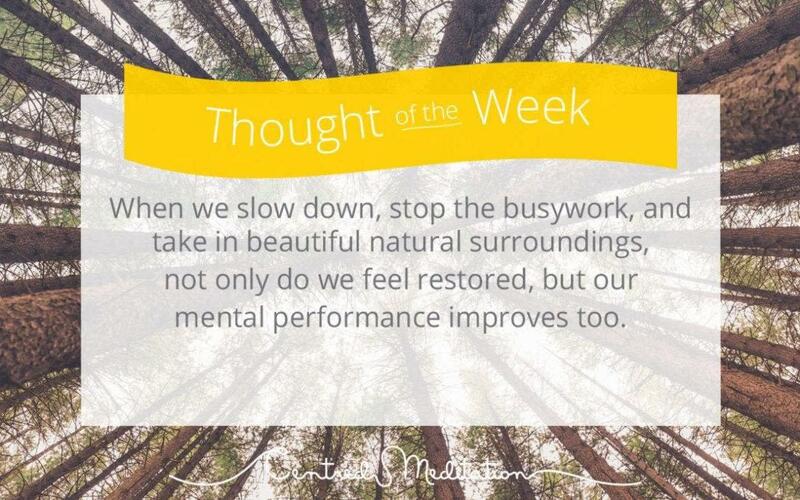 David Strayer, a cognitive psychologist at the University of Utah who specializes in attention, says that “when we slow down, stop the busywork, and take in beautiful natural surroundings, not only do we feel restored, but our mental performance improves too”. His research shows that there is a ‘three-day effect’ of being immersed in nature (the same length as our retreat) which acts as a kind of “cleaning of the mental windshield” so to speak. Whilst regular short bouts of meditation are instrumental in maintaining overall health and wellbeing, the power of engaging in extended meditation periods whilst being immersed in nature can’t be underestimated. Strayer says that if you can have the experience of being ‘in the moment’ for two or three days, it seems to produce a difference in qualitative thinking. It’s pretty unbelievable – You literally observe your mind ‘de-bugging’ itself – sorting through all kinds of ideas, concepts, memories, worries, concerns etc. And then eventually it all slows down and got into a really deep and restful state, which in turn paves the way for new and creative ideas and concepts to cultivate. Sound enticing? We have a few spots left of the Early Bird for our October retreat so If you have even the slightest inkling that you would like to join us, please send us an email and we’d love to schedule a chat!